While Mercedes-Benz owners are familiar with the legendary reliability that comes with owning a Mercedes-Benz vehicle, critics also agree. Motor Trend named the 2017 Mercedes-Benz GLC SUV of the Year for 2017, earning the victory over nearly 20 competitors. GLC has set new standards for comfort, handling, performance, refinement, and safety within its class. The 2017 Mercedes-Benz S-Class has also been named Best Luxury Car by New York Daily News. 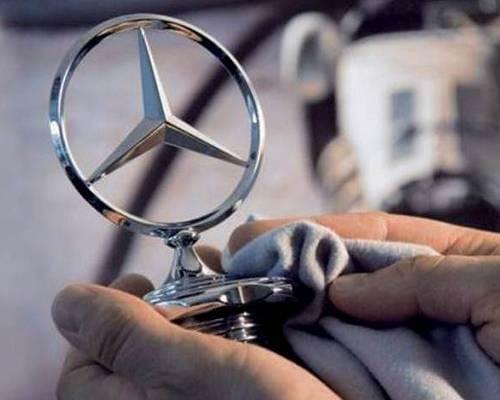 Mercedes-Benz vehicles continue to set the highest standard for quality and durability. Mercedes-Benz vehicles are some of the longest lasting, most reliable vehicles on the road. The Mercedes-Benz Classic High Mileage Award is presented to owners of Mercedes-Benz vehicles that have reached one of five mileage milestones, beginning at 155,000 miles. First introduced in the 1960s, Mercedes-Benz is proud to have awarded drivers that have surpassed the 1,000,000 mile milestone. With a reputation built on quality, Mercedes-Benz vehicles are backed by impressive warranty coverage. Every new Mercedes-Benz comes with a four-year/50,000 mile New Vehicle Limited Warranty. Mercedes-Benz Certified Pre-Owned vehicles include a standard MBCPO 1 Year Limited Warranty with unlimited mileage. Experience unmatched Mercedes-Benz reliability with the freedom to drive as much as you want. The term “reliability” is often a very broad concept when it relates to a vehicle. Consumer Reports magazine measures vehicle reliability in their annual customer survey. The 17 components measured include, engine major, engine minor, engine cooling, transmission major, transmission minor, drive system, fuel system/emissions, electrical system, climate system, suspension/steering, brakes, exhaust, paint/trim/rust, body integrity, body hardware, power equipment and accessories, and audio system. Each of these areas contribute to the overall reliability ratings for vehicles.